Our 55th reunion got off to a good start on Friday night with our informal get together at the Holiday Inn on Wells road followed by a much larger group at the NAS Jax Officers Club on Saturday. Everyone seemed to have a good time at both. We were joined Saturday night by two former teachers - Barbara Wesseling and Tom Wasdin. There were lots of cameras snapping photos at both events. Please send yours to postmaster@Paxon64.com to be posted on the class web site if you are willing to share. We will post them as received. Saturday evening festivities were held in the banquet room at the top of EverBank field. The amenities and food were superb! Classmate photos were taken as we entered as well has 100's of candid shots during the evening. The facility had TV monitors placed throughout which featured a slide slow of old classmate photos. If you can believe it, the dance floor remained crowded to the 60's music provided by our DJ. The "old folks" still know how to party ... although the party room at the hotel was a little silent that night. Each attendee received a Paxon mug as well as a package of personalized Paxon Class of '64 M&M's. Our special guest on Saturday was Barbara Wesseling, former senior English teacher. 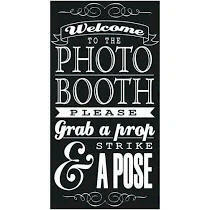 Many thanks to Merrilee Hysler and Linda Novak who handled the reception desk on Friday night and Lana Brantley, Judy White & Harold Rowe (all class of '63) who did the same on Saturday night. They allowed us all more time to spend with classmates. Our 45th reunion was held jointly with the Class of '63 at the Ocean Breeze Officer's Club, Mayport Naval Station. The theme was "A Salute to Our Military Veterans and Their Spouses". Friday night was an informal event that allowed classmates to renew old acquaintances and catch up on current activities of both old and new friends. Saturday included a social hour, DJ & dancing, great food, and more time to mingle with old friends. Individual/couple photos were taken of all classmates. Entertainment was provided by DJ Ron Cline. Guests included English teacher Barbara Wesseling and coaches Tom Wasdin, Ed Cunningham, and Jim Foster. See more details and pictures and list of 1964 attendees. If you have additional information and/or pictures (scanned images only) for any of the "older" reunions, please email it/them to us. We are obviously weakest on the earlier reunions. Since we are working from limited files and (poor) memories, please let us know if we made some errors below. 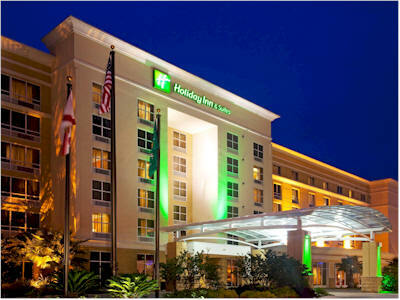 Our 40th reunion was held at the Hilton Hotel on the river in downtown Jacksonville. Activities included a cruise on the Annabelle Lee on Thursday; karaoke, dancing and social on Friday evening; family outing by the pool during the day on Saturday; and a dinner/dance on Saturday evening. David Sheek took pictures. Entertainment was provided by DJ Ron Cline on Friday & Saturday evenings. Guests included Assistant Principal Don Cross; English teacher Barbara Wesseling and coaches Tom Wasdin, Lou Beyers and Ed Cunningham. See Pictures!! Our 35th reunion was held at the Hilton Hotel on the river in downtown Jacksonville. Guests included Coaches Lou Beyers, Ed Cunningham and Tom Wasdin; and English teacher Barbara Wesseling. Activities included a riverboat cruise on Thursday; a field trip to the Tree Hill Nature Center during the day on Friday; a rock 'n roll social on Friday night; and a dinner and sock hop on Saturday evening. See Pictures!! The 30th reunion was held at the Sea Turtle Inn at Atlantic Beach. Guests included former Principal Welcome Shearer, Coaches Lou Beyers, Ed Cunningham and Tom Wasdin; and English teacher Barbara Wesseling. See Pictures!! The 25th reunion was held at the Sea Turtle Inn at Atlantic Beach. Activities included a cruise on The First Lady riverboat on Thursday evening; rock & roll social on Friday evening; pool party on Saturday afternoon; dinner & sock hop on Saturday evening; and a Sunday morning breakfast brunch. Guests included Coach Lou Beyers and English teacher Barbara Wesseling. See Pictures!! The 20th reunion was held at the Sea Turtle Inn at Atlantic Beach. Activities included a wine & cheese social on Friday evening; pool party during the day on Saturday; a dinner/dance on Saturday evening; and a breakfast brunch on Sunday morning. Guests include Coaches Ed Cunningham, Lou Beyers and Tom Wasdin; and English teacher Barbara Wesseling. See Pictures. Our 15th reunion was held at the Sea Turtle Inn at Atlantic Beach. Activities included a wine & cheese party on Friday evening; pool party & cookout on Saturday afternoon; dinner/dance on Saturday evening and a breakfast buffet on Sunday morning. Guests include Coaches Tom Wasdin and Lou Beyers; and English teacher Barbara Wesseling. See Pictures. 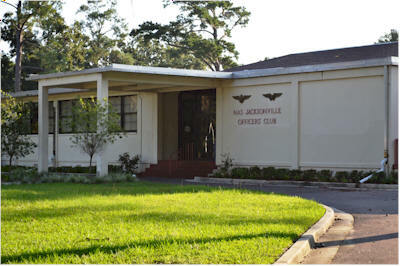 Our 10th reunion was held at the Deerwood Country Club in Jacksonville. Activities included a dinner at Deerwood. See Pictures. NOTE: We need the dates of the 10th reunion, details on activities & guests and more pictures (scanned only) if you have them. NOTE: We need the dates of the 5th reunion, details on activities & guests and more pictures (scanned only) if you have them.